Pop culture: apparently it's what's for dinner! Chances are, if something or someone becomes famous for more than 15 minutes, there’s a cookbook tie-in for it. Besides the countless cuisine fad, celebrity chef, movie star, TV personality, pop musician, cooking blog compilation and wellness trend cookbooks that eventually simmer into the bargain bin pile, there are all those phenomenon-based titles. There’s a Doctor Who cookbook, a Star Wars cookbook, Breaking Bad cookbook (actual title - Baking Bad by Walter Wheat - oy! ), a Harry Potter cookbook, a Game of Thrones cookbook and even a Fifty Shades of Chicken book (that’s right, fan fiction cookbooks based on book series based on movie or TV series). However, long before the age of the wookie cookie or mustard-spanked poultry, before there was little more than Julia Child and Joy of Cooking in a standard home kitchen next to the hand cranked meat grinder, a celebrity cookbook was still an anomaly. Two of the most unlikely early celebrity cookbooks were published several years apart by icons of horror and fantasy - Salvador Dalí and Vincent Price. While Price’s book takes a far more traditional and less whimsical approach, they are both challenging to use as a recipe resource for a modern kitchen for a variety of reasons, puzzling measurements and tendency toward gelatinous ingredients notwithstanding. When I read them over again recently, I was determined to find a few recipes I could cook from each of them. Then I discovered recipes I could drink. This guide to home entertaining, originally published in 1973 with a recent reprint, is as fanciful and bizarre as one would expect from the master of surrealist art. 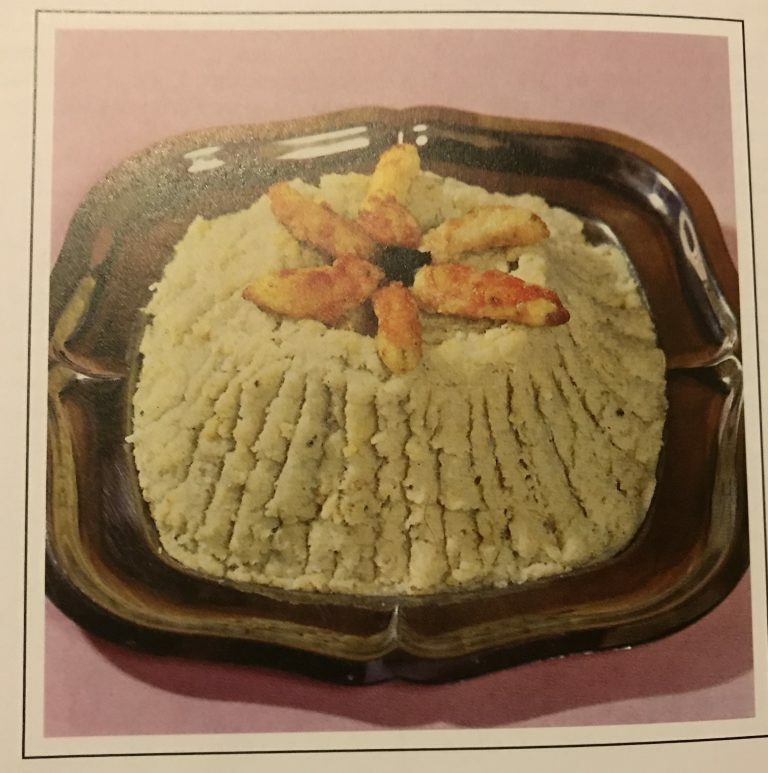 It has recipes ranging from Tripe of Yesteryear to Snail Saltimbocca to Peacock à L’Imperiale to Stuffed Cabbages With Pigeons and all manner of aspics and things that jiggle (Bush of Crayfish in Viking Herbs, anyone? ), and all elaborately garnished. (Quick! Fetch my sterling silver raven prop!) The illustrations, presentations and actual photographs (never mind the serving ware) do not disappoint in their outrageousness. This cocktail can be found in the “les je mange Gala” section, which naturally comes right after “l’atavisme désoxyribonucléique” (a.k.a. “vegetables”). “This is quite appropriate when circumstances such as exhaustion, overwork or simply excess of sobriety are calling for a pick-me-up,” says Dalí. I’ve seen many bastardizations versions of this drink online, some of which are so far removed from this recipe (vodka based, coffee liqueur-based with Madeira, as a royale with Champagnes, etc. ), but this one seems to be the inspiration. The measurements below are according to the artist. The drink calls for "ginger", which is likely powdered as that was the default in those days. However, a good ginger syrup would make a nice substitute, as the drink could probably use a touch of sweetness for balance. As for the two brandies, he’s actually only calling for one - “old brandy,” or “Vielle Cure” is a mostly extinct, fruit-based French herbal liqueur, however Bénédictine would work well here. Incidentally, he serves this with Aphrodite’s Purée, a fish mouse with fried prawns on top that calls for crushed cod heads strained “Chinese style,” whatever that means. You could shake all the ingredients with ice and strain into a chilled rocks glass, which is probably better anyway. Glad Mr. Dalí didn't quit his day job. Considering actor Vincent Price is best known for his scenery-chewing performances in classic macabre cinema, when it comes to sitting down for a real meal, he could not seem more genuinely warm and appreciative of his surroundings, friends and life in general. This book, originally published in 1965 with some reprints, is a gastronomic snapshot of fine dining in that era. Actual menus from some of the world’s most respected restaurants at the time are printed within, as well as some adaptations of their signature recipes. Before the age of food TV or social media, before the average good eater even paid attention to sources like the Michelin Guide, unless one had the resources of a world famous celebrity, books like these were the only way to know where to go and what to eat, or at least live vicariously. It also serves as a culinary time capsule, considering so many of the establishments, such as Gage and Tollner in Brooklyn, or the Santa Fe Super Chief dining train, long ago served their last Shrimp à la Newburg. While most of the book centers around travel and fine dining (Price is shocked that Tour D’Argent charges $12 for lunch and $20 for dinner in 1965! ), amongst the soufflés, “forcemeats”, canapés, stews and broils, it becomes obvious the Prices liked a good drink (the many photos of wine and various cocktails are the least of the giveaways). In their other cookbook, Come Into the Kitchen, the Prices even share a recipe for homemade wine. Here, we are lucky to find the instructions for the most famous drink from Restaurant Antoine in New Orleans. Make 4 cups strong coffee. In a fire-resistant bowl put the spices and lemon peel. Heat 6 oz Cognac (he specifies that it’s French, which is so cute) and pour it over the ingredients in the bowl. Ignite Cognac and stir it around with other ingredients until sugar is melted and all flavors are blended. Don’t let Cognac burn away completely. Pour the coffee into the flaming bowl. Stir around till the fire goes out. I like to think these two are indulging in fantastical ways together in the great beyond. Cheers to Salvador and Vincent!